Imagine a situation where You could not say what you wanted to, or perhaps for another reason chose not to speak. Or maybe there was a time and a place where no matter how hard you tried, no-one would listen to you? With these questions in mind, let me welcome You to the place where all these repressed thoughts and emotions are hidden – thus let me welcome You to The Waste Land. The Waste Land represents a place where suppressed thoughts and emotions are buried. In the Waste Land they either die out, or live on as echoes and whispers. It is a place for withering, but also for growth. Additionally we may learn more about the history and thoughts of the characters – Lillian, Odessa and Patrick – or even catch glimpses of what the future will bring. Telling the story, Harri Koskela (also keyboard), Emily Leone (also violin) and lyricist Anne Lill Rajala play the characters within the story and bring a very own touch to it through their diverse voice talents. 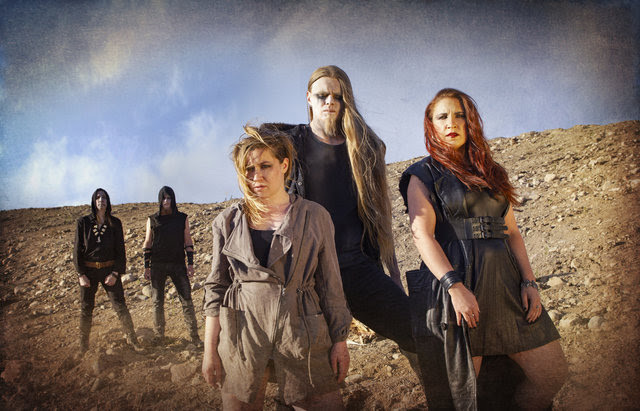 Additionally, wonderful guest musicians such as Nele Messerschmidt (Elvellon), Andi Kravljaca (Thaurorod), Tero Kalliomäki (Embassy of Silence) and Lasse Nyman (Thaurorod) have contributed to the album making The Waste Land an unforgettable experience. The stunning new cover was created by guitar player Miika Haavisto. 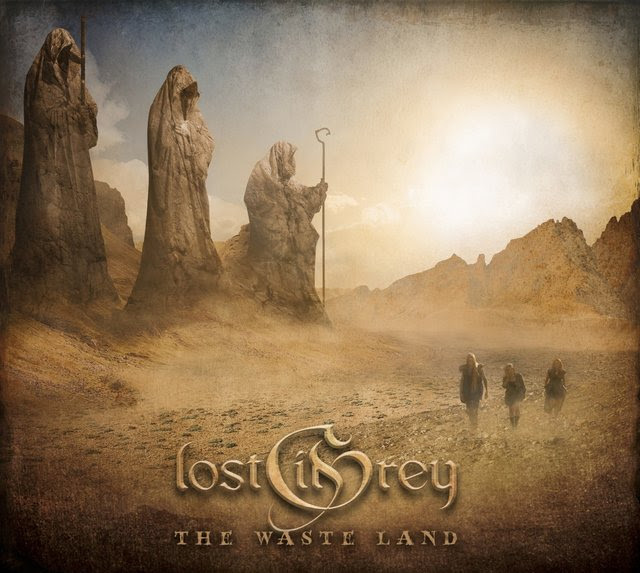 LOST IN GREY was founded back in 2013 and released their „theatrical“ debut album „THE GREY REALMS“ in March 2017. The debut album consists of high quality compositions that can not be beaten in terms of dramaturgy. Therefore the story of „THE GREY REALMS” is as important as the music itself.